The Kilford Arms is enviably located just yards from the train/bus station and a few minutes walk from the City Centre. From Dublin take the M7/M9 (signposted Limerick/Cork). Take the N9 (signposted Carlow/Kilkenny) via Castledermot and Carlow. Follow the N9 to Paulstown. Follow the main road N10 (signposted Kilkenny). Travel straight throught the Dublin Roundabout and follow down the Dublin Road until you see Johns Church. Famous as an international centre for contemporary art & culture, the County of Kilkenny is also an ideal central location in Ireland - providing a perfect stopover for travellers between Dublin and Cork, Rosslare and the West of Ireland. GREAT PLACE TO STAY.GOOD FOOD.CLEAN ROOMS .FRIENDLY STAFF .WE WILL STAY AGAIN .FREE PARKING A PLUS. Excellent hotel. We arrived on early train at 11.40 and reception were able to give us our room on arrival. Lovely big family room. Hotel very near to train station and also Mc Donagh Junction Shopping Centre.. Only a 4 minute walk down to the Castle and main shopping area.. Dinner was included on 1 night and was lovely. Breakfast was cooked fresh and brought to our table as not many were staying in the hotel Lovely hotel . Midweek stay from Sunday-Wednesday. 4 stars. Very good hotel. the room had all the basics and more very good size and bathroom was great. Stay was extremely comfortable. the staff were friendly and helpful. Excellent location. bar and restaurant were excellent also. Well done to the staff and management! My Mum and I had a perfect stay here. Room spotless and warm. Staff very helpful. Food excellent. We would recommend it to anyone for a break in Kilkenny. Location is ideal for sightseeing and shopping. Thank you all for a memorable stay. We will return. We recently stayed here for 3nights. I had asked for quiet rooms and we got them. We found the staff very friendly and helpful. It was early in the week, so no partying or noise. Rooms were very clean and the food was fine for the money. It was superb value for money and very central. Hotel rooms were fine with facilities of a 4* (kettle, iron, hairdryer) but the dinner we got was truly awful. Breakfast was fine. We told both restaurant manager and front desk lady and she was to look into it but we heard nothing at all. Would not consider staying there again. Car parking fantastic, wish I could say the same for the rest of the hotel, room could do with a visit from the Brennan brothers, view from the room well I don't no the glass was stained. Breakfast lovely, waiter very friendly. Dinner horrible, thankfully a lot other options to dine out in the town. Would I return no way. What can I say, wonderful staff, location and hotel. We had a lovely stay in the Kilford Arms Hotel. We will be definitely back to stay again. Michael was so helpful as were all the staff. Such friendly people and nothing was every a bother. I liked the relaxed ways of the people and so professional at all times. They have a great way about them. Its like one big happy family. I'd recommend anyone staying in the hotel. The location is just excellent. Stayed here one night with my husband, pleasantly surprised. As it was so reasonably priced I didn't expect it to be as good as it was. Lovely room, staff were very nice and helpful. Would stay here again and recommend it to friends. Stayed for one overnight to meet with family and friends...couldnt fault location, hotel, staff etc...as long as you dont mind staying awake all night...only choose this hotel if you want to party.Great location and Car Park included. Ate in the Bar and food was very good. Overall I would stay again and would recommend it for location and food but not for a quiet weekend away or a family break. 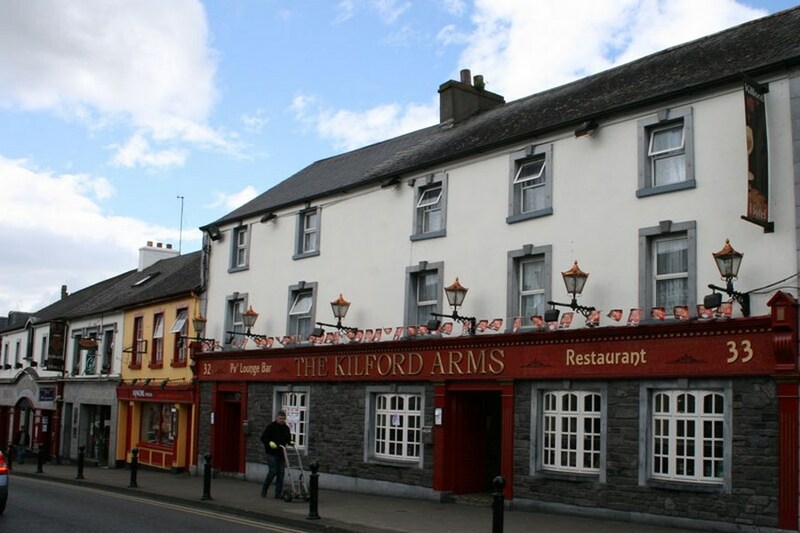 We had a most enjoyable stay in Kilford Arms hotel in Kilkenny, staff were very helpful and friendly, food was good and rooms bright and clean and loads of supplies for tea/coffee making facilities. We would definitely return to this hotel and recommend it to others. 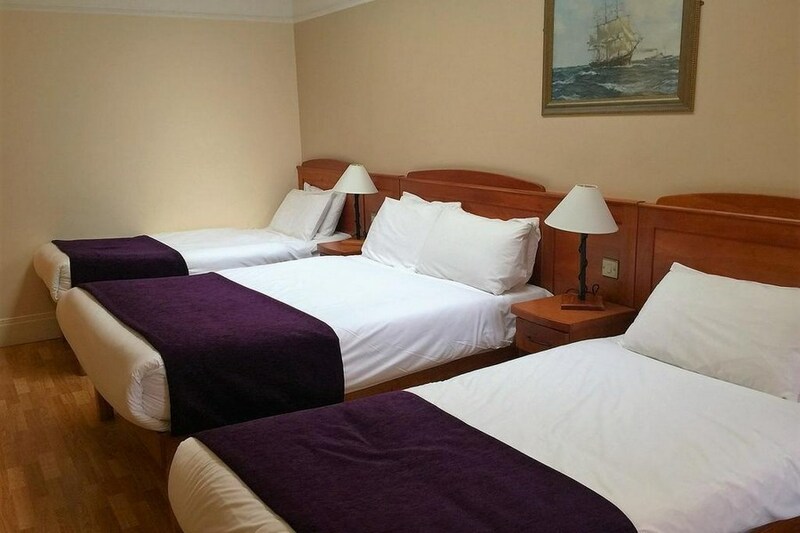 It is within walking distance to bus/train station and very central. We really enjoyed our stay there. Thanks. We loved this hotel .Great for a mad weekend away . (not for a family with young kids. ). Every member of staff at this hotel was extremely professional and polite from the recepionist , bar staff , resturant staff and door men . Rooms and bathroom were spotless. We will stay here again , great value for money and geart location .Just 5 mins walk to city centre. Had a great weekend stay at the kilford arms this past weekend. The atmosphere was great and so was the entertainment. I look forward to returning again in the future. Stayed for 2 nights B&B. Room spacious and clean. Double bed could do with a new mattress as on one side it was a bit lumpy. Staff very friendly and efficient. Breakfast was a bit slap dash. By the time we got through it, the food had gone cold. However microwave available if needed. Not huge selection of fresh fruit or different types of bread at breakfast. Had meal in the bar and food was excellent there. Overall enjoyed our stay. Hotel very central with own car park which was a plus. The Kilford arms hotel,was one of the best hotels we have stayed in with the children, the room was very spacious everyone had their own space,it was clean and airy,which was much appreciated by my son who has asthma. The staff were very friendly and helpfull.We only had a short stay but we all said if we ever get to go to killkenny again we would stay there again it was so central and having its own car park was a big advantage. Enjoyed our stay for three nights bed and breakfast. Hotel is in a great location in the centre of Kilkenny with free parking, Service and food was excellent. Staff very friendly and helpful. Loved Kilkenny. Loved our stay at Kilford Arms Hotel. Twin room very spacious indeed. Hotel/rooms/restaurant spotlessly clean. Staff brilliant!! Couldn't do enough. Extremely couteous/polite/friendly. Would definitely recommend this hotel & will most definitely be returning. Adequate Hotel for a nights stay; only major plus point is Hotels Location making access to toen area very easy. Enjoyed our stay at the Kilford Arm's Hotel, friendly staff, good food, very clean and good location, would stay there again. Enjoyed my stay in the Kildford Arms hotel. The room was lovely, with loads of space and absolutely spotless. The staff were really friendly and very helpful. This hotel has a great buzz about it and great night life. I would definately recommend this hotel and i look forward to staying there again. lovely stay.. great for a girls night away. Staff were terrific, very friendly and helpful. Room was nice and clean. Was a bit cool when we arrived but after we came back from dinner it was lovely and warm. No complaints. Would recommend as very good value. Would stay again without doubt. Very nice hotel well presented staff food and and the entertainment were great,would stay again. Stayed for a weekend with my Mam, cannot fault it, great value for money and the staff were very friendly and helpful. Nice reception area and obviously a busy hotel which is a good sign. The room was ok but poorly ventilated. A large standalone fan was provided, but air con would be better. Plenty of milk for the tea and coffee. WELL DONE!! too many hotels are mean with the milk. Breakfast was nice and service was good. Corridors were a tad noisy at night, probably due to the location of the hotel in Kilkenny City, however there was no noise from the nightclub or pub downstairs or even the street. I would have given a higher rating but for the stuffy room and being woken up by other guests in the corridor. parking was off street and reasonably secure and location was ideal. Very nice hotel with exceptionally friendly and helpful staff, especially at reception. The exception was the bouncer at the night club part of it who was extremely unreasonable and it took ages to convince him that my partner was staying with me (she was not noted on the booking form) to the point that he locked me on one side of the door and her on the other. The only black mark against very good accommodation. I really enjoed my recent stay in the Kilford Arms.It is in a great location beside the bus and train station. The castle, shops, restaurants and bars are all within walking distance of the hotel. The room was spacious and warm and the staff were friendly and helpful. I will stay here again if I am in the area. good quality hotel improved by a very hospitable staff. 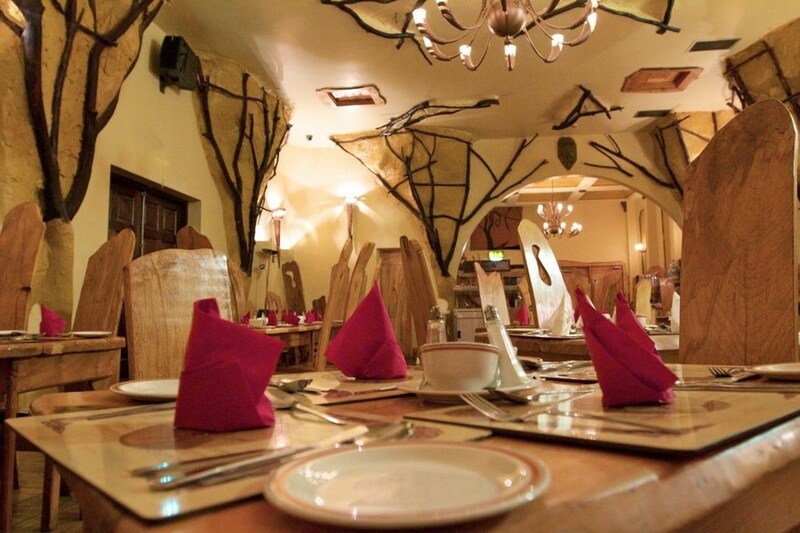 Kilford arms hotel is very central to all the great bars and shops of Kilkenny. Found the rooms basic with a stale smell( like it use to be a smoking room) Our check in was very efficient and staff were very pleasant. Our dinner was served by a very efficent polish guy and there was a great choice on their menus. We were also given a glass of wine with our dinner,complaints of the manager which was a nice touch. This hotel is great if your not looking to relax and sleep much but party and shop instead!!!! Car parking is free which is a added bonus and hotel is great value for money. I would return again. we stayed mid-week and we cannot recomend the Kilford more highly. Its almost in the centre of Kilkenny, a few minutes from the train station, and offered excellent value. The staff were really friendly and the service excellent. They also have a great late night bar with an excellent beer garden (if you smoke like us). Having said that, I know a lot of their weekend business is of the stag/hen variety and we noticed a few of these ariving as we left. However I wouldn't hesitate to recommend the Kilford for a short break in the Marble City, just it might get a little ott at the weekend.